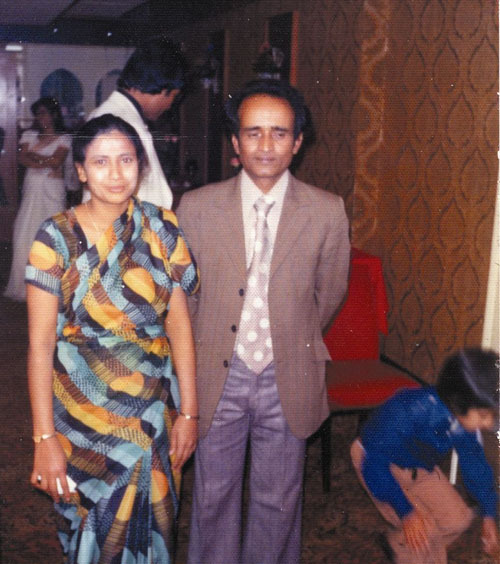 After the success of last week’s post, here’s the second in the series of interviews with those involved in the struggle by Bengalis for identity in the Seventies and Eighties. Again the interview was done by the fabulous Swadhinata Trust. Those who know me will know I know this woman quite well. Nuff said. Except to say that she’s a most remarkable lady whose energy and determination shames us all (she’s at the front of almost every protest in Altab Ali Park, as at this one a few week ago: she’s on the right). A remarkable woman, who was not afraid to confront racist skinheads. In one incident she risked her life and ran after some skinheads with sticks in her hand. This happened after the skinheads attacked an elderly Bengali and his son. Q: Tell us, where you were at wartime, and your experiences of the independent war. MHM: My husband was working in Pakistan embassy, in Saudi Arabia before the war. From Saudi Arabia we came to Pakistan that is the West Pakistan, and shortly, in about one month, the war started. We were very worried and anxious, because I had three young daughters. Police were guarding all our (Bengali) homes (in Islamabad, Pakistan) it seemed to us that they were watching us. They have not treated us badly (within the embassy compound), but I was scared about my husband, as he was leaving the home in the morning, we had no assurance that he will return at evening, we were afraid of his life. We were scared going out wearing our Bengali dress. We did not wear Sarees for four five months, we wore salwar and kamiz, so that they couldn’t recognize us on the streets, if we were Pakistani or Bengali. We could not collect our belongings that were sent from Saudi Arabia, bound to Karachi. We were not thinking of our goods sent from Saudi Arabia, rather we were thinking, how to flee West Pakistan, with our lives. We were scared to listen to the radio, we listened to the broadcast, hiding the radio and taking it near the ears, and lowering the volume, and we were afraid of our life, and always afraid of attack on us. One of our well-wishers, within the office compound helped us very much, he helped us getting out of West Pakistan. We applied for umra (pilgrimage) visa and went to Saudi Arabia, we left our goods that possibly reached at Karachi seaport at that time. We came to Karachi from Islamabad, we tried to go to one of my cousin’s home, who was a navy officer, but the security forces didn’t allow us. So we stayed at a hotel near Karachi, the next day we got our visa and on the third day flew to Saudi Arabia. When we reached Saudi Arabia, my husband went to visit his office that is the Pakistan embassy at Saudi Arabia. They arrested him with the false allegation of connection with India. Some of his colleagues working in the embassy helped him and they assured his innocence, and he was released and was kept in the embassy compound. After independence, Bangladesh authority got us out of the compound, and neither the Saudi Arabia, nor the Pakistan authority accepted us. At the very beginning Bangladesh had no diplomatic tie with Saudi Arabia. India sent a ship to take back the Hajjees, who were visiting Saudi Arabia at that time for Hajj. That ship took us, the 17 families who were in the Pakistan embassy, doctor, nurse and other staff, to Bangladesh. It took 17 days to reach Bangladesh. We were due to come to Bangladesh on 26th March 1971, we had our ticket confirmed for that date. We went to Pakistan in February from Saudi Arabia, and we had our ticket confirmed on 26th. But my children got pox in the meantime and so we changed our ticket. The family that bought the tickets and returned East Pakistan were killed by the Pakistani army. All the passengers of that flight were killed. We were due to be on the flight. In Pakistan we suddenly found our home surrounded by the police. We were afraid of life. We had a four band radio, we mainly listen to BBC, VOA and radio China, with huge precaution. We feared that they will be following us from the outside. We were five Bengali families in that building. We arrived at Chittagong seaport, but as we arrived there was a low tide so we had to wait another day in the sea for high tide. The custom officers didn’t check us, they left us telling that, Pakistan has destroyed everything in Bangladesh, if you have brought anything that is yours. We met Mr Moinuddin in Chittagong, he came to receive us hearing the news of our arrival. He showed us the situation in Chittagong. We saw big craters on the surface, which were made by bombings. We were in Chittagong for four days, and then we left Chittagong for Dhaka by air. We were also in financial crises. After reaching Dhaka, we stayed at the residence of the governor of the state bank, Ijazur Rahman, who was my cousin. The next day my husband went to the foreign secretariat. They told him, all who have returned from different foreign missions of Pakistan, will be provided with their jobs again, but for the next few weeks we have to wait for further notice. We then came to Sylhet, but we were financially broke, and my cousin helped us. As we were coming to Sylhet, we were unaware of the condition of our homes. We hired a car from the airport, but the car was unable to reach our home, as the roads were badly damaged by bombs. There had been a huge fight between the Pakistani soldiers themselves, (friendly fire) near our home, during the war. People at home were disconnected from us in the long nine-months, so they were very glad to see us alive and safe again. We stayed at home for two weeks, and then again we came to Dhaka, my husband worked at Dhaka for nine months, and then he was transferred to London. We suffered a lot when we were staying at Bangladesh at that period. We had not enough food, no pure drinking water and no milk for the children, we suffered a lot. There was shortage of essential goods in the market and the prices were very high. At that time we were staying at Dhaka. In 1974 we all (my children & myself) came to London, and shortly in 1975 we suffered another problem. We lost seven years of saving which my husband earned in Saudi Arabia. We first came to Surrey and stayed there for one year. And in 1975 we came to London. My husband worked for seven years with the Bangladesh high commission here in UK, and then he left the job. We came to East London on 1976. Racism in UK in 1980s: In the end of 1976, the skinhead problem started in the UK. There was a lot of Jews around this area. The skinheads gave us a very hard time. The Bengali men were afraid of going out in the late evening. They were troubling the women less, but were attacking the Bengali men. The skinheads used to beat the Bengali men and loot whatever they had on them whenever there was a chance. Gradually the Pakistani, Indian and the Bangladeshi youths started to form small organisations. They fought back the skinheads. There was big Jewish population around our street. The Jews dominated businesses here in East London. They were the owner of shops. The Jews started to leave the area, and Bengalis started to move into East London. Q: Can you remember any of the specific incidents of fighting here during the skinheads trouble? MHM: Yes I can. One evening, this incident took place in front of our house at Varden Street. One of my neighbours, who lived in house no 30, coming back from London Mosque was assaulted by the skinheads. The skinheads physically attacked both father and son. They were screaming for help, we got out of our house, my daughters got out and took some steel rod and started running towards the scene. The skinheads ran away, leaving the victims, very badly injured. After that police came, we threw our rods on the street, we were afraid of being arrested. We had no telephone in the area. Someone would have to go to New Road to make a call and you don’t know if you will back home safely. The skinheads attacked many Bengalis on their way back from telephone booths. Mr. Altab Ali was killed in 1978, and some other people known to us were assaulted at that time. We avoided going out at night. In case of an emergency, like to make a phone call, we never went alone, some one used to accompany me. After that we took a telephone connection in my house. We suffered a lot, it is easy to say now but it was not that easy to face reality then. We lived in this dilapidated house for 14 long years. The house was not properly ventilated and in the winter, chilling air entering the house. There was a shortage of houses in the area. In the early 80s the authority offered us to choose our own house, we were afraid to move from here fearing of the skinheads. The houses were taken under the GLC and we gave them rent for few years, the rent was £10 for our house. The GLC offered us to sign a contract with them, so that they will pull down the old houses and provide us with new houses in the same road. There were twelve houses in this road, they made it eight. So finally we got our own house. One of the main problems we faced during the late 70s and early 80s was to have a bath. One had to go to bath once a week. We usually bathed on a Saturday going to some public bath. Q: Was there any organisation of the Bengalis here? MHM: We had no Bangladeshi organisation before 1977, but we with the leadership of Lily Khan, formed an organisation in Myrdle Street School. I worked as a volunteer. We arranged a language class for the Bangladeshi women. The organisation still exists. Q: When did the skinhead leave this area? MHM: Skinhead problem was over in 1980-81. Our people started to get organised and started to defend themselves. Slowly they broke up and the problem was solved. We got establish in Britain after 1981. Peter Shore came to my home many times. They (Bengali community activists) had a hostel in Tower Hill, I used to go there if they had any programme and I used to cook for them. Q: Please tell us about Altab Ali murder and the impact it had? MHM: Altab Ali was killed by the skinheads. That was the starting point for the Bangladeshis to get organised. We formed some committees to protect the Bangladeshis. The Bangladesh Welfare Organisation was established in 1971, and all the people had a common meeting place in our home. We had only one mosque in the whole East London that was situated in a tiny house near the cinema hall, which is no more there. It is converted into car parking space. Then it was transferred to another place, where all the Bangladeshis from all over the UK, used to gather especially during the EID. From 1985-87 people started to build mosques all over Britain. Every thing has improved now, but we had so gloomy houses in this area that people were not even interested to look at those. We used to fear of getting attacked. We rarely looked at someone while crossing roads, there was the possibility of getting hit by the skinheads. We used to look at the ground when crossing them. Q: Can you mention about the women organisation? I think the first Bengali women organisation was established here in the UK. We used to meet in the organisation and we had our language classes here from 1977. It was due to the courage Lily Khan that we had a women organisation in East London. They went to different places and formed different organisations. Mrs Hasan is one who formed an organisation. Women have more facilities to learn English now. We have classes in Jagonari but women are not coming out. (Delwar Hossain) Sayedi (fundamentalist Jamaat leader (has spoiled the new generation women. They are not willing to learn English. Q: Are you involved in any party now? I am involved with Jagonari, involved in their management. We have three exercise classes every week. Women get some financial supports from Jagonari as well. The young women are benefiting from this financial support. Q: How did Terry Fitzpatrick and other White people helped you? Did he inspire you to form an organisation for the Bengali people? Terry helped us a lot. Farrukh Dhondy from India was with him. He helped us getting electricity connection or water supply connection or things like that. He used to earn some money by helping people. We supported Labour Party all these years, but after the Iraq war we have left Labour. We are in Lib-Dem now. We have not voted for Labour Party because they have attacked Iraq. We need a Bengali MP now. Nasty note to end on, don’t you think, Ted. It was the Labour party that it possible for the Bangladeshis to be a part of this country without being attacked. Iraq has absolutely nothing to do with it. Dan, not my words! And remember, the interview was in 2006. And I suppose it has to be said that Mrs Matin is now unequivocally Labour and a fan of Rushanara Ali. If I walk along Buxton Street, Chicksand Street or Greatorex Street at night I rarely look at anyone in case I get beaten up for not being Bangladeshi. Racism is disgusting and vile (and not to mention totally illogical) but there is always a danger in allowing people to think that it is a uniquely white or uniquely British phenomenon. Racism exists all around the world and Bangladeshi lads are just as racist, homophobic and violent as English lads ever have been. And whilst we are on the subject… Hitler wanted to subjugate the world and create a “pure” society where people worshiped the authoritarian state ideology and its quasi religious-political leader. The only people in Tower Hamlets that wants to establish anything at all resembling that (e.g. the “Caliphate”) preach such hate from various offices, sweet shops etc around the borough and are never challenged by “mainstream” Islamic society… these extremists include such as Azad Ali and our old friend Anjem Choudhary. Funny what things people take from a piece. I sympathise if you’ve had some bad experiences in Whitechapel, but are you really implying that’s on a par with what this formidable woman (and her formidable daughters) endured and faced down? ‘Hate… never challenged by mainstreem islamic society’? Really? Ms Matin’s story is of surviving that same hate and many people, (including and especially those of muslim background), are still standing up against it, as well as against British non-clerical fascists old and new. White people are threatened, intimidated and assaulted every day across Tower Hamlets by racist Asian thugs. They are also targeted for muggings. Gay people in particular are under attack and large parts of the borough are not safe for them. It is worse for young white men but young white women face threatening sexual harassment for wearing clothes deemed culturally unacceptable. Black oeople face such racism they avoid the whole area, the clear racial frontier between Tower Hamlets and Hackney is testament to that. This Bangladeshi racism is on the same scale as white racism in the 1970a except its probably worse because of all the blinkered leftist ideologues who refuse to acknowledge its happening. When nasty, bigotted people go about setting up “gay free zones” and “sharia zones” and “Muslim patrols” it might seem to outsiders or those lucky enough to live in a gated neighbourhood that its all a bit of a joke but I can assure u its far from funny if you are the only white family left in a residential block along Mile End Road or Vallance Road, for example. White people are leaving Tower Hamlets in droves (see census) because of the intimidation they face, in particular that which their teenage sons face. I speak from personal experience and the testimony of many friends and acquaintances. I’ve lived in London all my life and I still feel safer in Buxton Street or Greatorex Street in the wee hours than in some all-white countryside town. You make it sound as if there are thugs who beat you up just because you’ve got white skin. And to compare it to 1970s racism is insulting to everyone who actually had to endure that delightfully English phenomenon. If there are some white people leaving the borough because they don’t like the fact that there are lots of Bengali people in the area, then it is they who are racist and not the Bengalis. Direct documentary evidence of the negative influence of Jamaat-i-Islami, i.e. IFE influence on the education of women and their integration and emancipation into British society. The failure of Bengali women to learn English has detrimental effects on their childrens educational prospects and leaves the women themselves isolated and dependent on their male “protectors”. The increasing tendency of Bengali women to wear the full niqab or burka has similar origins. The aim of the Islamists however “moderate” is to ensure that women remain second class citizens as per the tenets of the Holy Koran. They reject the principles of equality and common decency in favour of their own brand of religious bigotry. As for Dan McCurry’s comment, that’s a bit presumptious isn’t it? Does he expect Britain’s half a million British-Bangladeshis to be beholden to today’s Blairite party because of what Labour leaders four decades ago (a very different bunch of characters from today’s lot) allowed Bangladeshis to do back then? Sorry Dan, but I don’t think that’s going to happen. I knew Mrs Matin very well as I did all of the other squatters in Varden Street who were all members of the Bengali Housing Action Group of which I was a founder member. It’s news to me that I used to earn money, the six years from 74 to 80 cost me a fortune. It is good that this part of the development of the Bangladeshi community is now being examined and there is increasing interest amongst a generation born since the struggles of the seventies and eighties as to how their community was shaped. This interest was kicked off with the last in the Secret History of Ours Streets programmes about Arnold Circus which showed how Bangladeshis squatted and I have been amazed at the interest among younger Bangladeshis. Go to the Swadhinata site at http://www.swadhinata.org.uk and put my name into the search at the top right of the page. There are then two long articles by Sarah Glynn which can be found at http://www.saraglynn.net/The%20Battle%20For%20Housing.html. Failing all that just google Bangladeshi squatters in East London and the whole list comes up. too true, sadly. btw, I remember Muslims and Pakistanis chasing each other up and down Hessel street with meat cleavers when the Bengali Independence was was going on. Why do we only ever here the views of one ‘community’ about that period? That’s a very good point. It does seem that this recent glut of faux guilt ridden historical articles regarding the initial stages of the Bengali colonisation process do rather neglect the obvious victims of that; the English Cockney inhabitants of the East End who have been almost expunged. where are all those overwhelmingly middle-class squatters now? The British people who moved from Flower and Dean thoughy they were going back once the renovation/rebuilding had been completed. 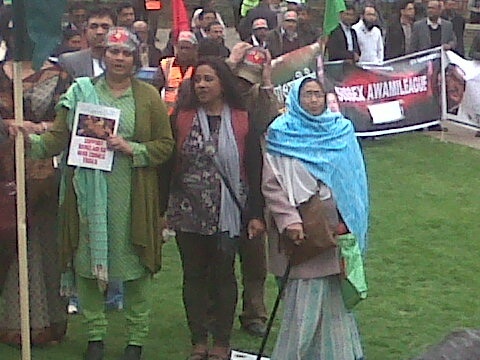 according to the last census their were approx 300 thousand Bangladeshis in the UK. Are you including illegals? a lot of local Bengalis do not like the recent influx of ‘White’ people into their area and they are not reluctant to let them know. There is one significant difference between the racist violence of the 60/70/80s, which even then wasn’t all one way, I lived in Stepney, I know, is the level of sexual violence against white women by all sorts of non-European ethnic groups. This is a phenomenon that Feminists will not go near. A point of note, I spoke to some members of the community midwife team for tower hamlets recently and they told me that “at least 80%” of the newborns they visit in the borough are Bengali. Given that according to the National Census (2011) they’re only about 40% of the borough population… this made me wonder whether the (a) the census was wrong, or (b) the midwifes are all racist liars. I’m not sure about your census figure Richard, I definitely saw the statistic of 447,000 people of Bangladeshi origin in the 2011 census. And given that is now more than two years out of date I don’t think my current estimate of half a million is too far out. you are right 447 thousand in 2011. Thought there was a bit less. Richard Brown. What are you talking about in relation to middle class squatters? Your whole post is pretty incomprehensible but I want to know about that bit of it. There were hundreds, if not thousands, of middle-class, left-wing, squatters in Tower Hamlets and in other working-class areas in many London boroughs. They lived rent free while everyone else paid rent or a mortgage. Their politics was a ludricous mish-mash of neo-marxism in half a dozen variants, pseudo-anarchism and last but not least, Feminism. And while they quite rightly politicised anti-racism they would not, or could not, acknowledge that many aspects of Bengali Muslim culture were horrific. They opposed violence against Bengail women by local British racists but ignored the murderous, and I mean that literally, patriarchy that so many Bengali lived and died under. And where are they now, those bright young things of the 60/70/80s? Suburbia, where most of them came from in the first place. In a nut-shell, they were parasites, hypocrites, and anti-democratic. Btw, I know you are not one of them. I’ve come across you on the net or on TV a good few times and I did not get the impression that you, unlike so many Left-wingers, think the working-class people are, and always have been, nothing but racists. You will have to take it from me that you are completely wrong about the social make up of squatters throughout the seventies and the reasons they squatted. Squatting was never a soft option as an alternative to paying rent. It was insecure and very often physically dangerous. It wasn’t easy bringing up a family and working, as most squatters did, with the threat either legal or illegal hanging over your head of being evicted. I was a more or less full time organiser of squatting and the setting up of housing coops from 1974 until 1980. by the early seventies the majority of squatters in Tower Hamlets were either local white working class young people or Bangladeshis. An entire block of flats, Sumner House in Devons Road in Bow was squatted by local people. Fifty odd flats in Corfield Street in Bethnal Green were likewise squatted by white locals. Many of these familes went on to form the coops in property handed over by the GLC such as Matilda House in Wapping and other coops in Limehouse and Stepney. Your excuse for not knowing this is that like so many people squatters were seen as hippy type drop outs who simply didn’t want to pay rent and that is another urban myth that has become an urban lie. As for your knowledge of the Bangladeshi community, it’s pretty much on the level of what you know about squatting. I spent two and a half years living in a Bangladeshi village called Pelham Buildings, Woodseer street London E1, six months living in the country and have been involved with that community in East London for almost forty years. You simply don’t know what you are talking about. Most of what appears about Muslims is written by people who have no knowledge of and no connection with a Muslim community. There is also no acceptance that, as with Christian communities around the world, there are vast differences between Muslim communities. There are more burkhas on the Whitechapel Road than in Dhaka and if you look closely it is difficult to tell whether or not the make up has been applied with a plasterer’s trowel or a bricklayers! All is not as it seems. Nothing stays the same. and all things must pass. We are going through a rough period in relation to Muslims in this country but I know that the majority of them and certainly the Bangladeshi who are my friends are disgusted and worried by the things that are said and done in their name. What doesn’t help are the mealy mouthed apologists for violence and hatred like most of the far left and their Guardianista fellow travelers who justify everything done by Muslim extremists as it being a reaction to British foreign policy something that the Muslims that I know do not support. Interesting discussion though, more of it please. Sorry but do not agree with you the social make-up of the squatters or their reasons for squatting. I knew quite a few squatters in Belgrave street/Barnes street, Stepney and it was a middle-class community. Very nice people but not much in need. I was at a Council Housing meeting about ten years ago when a member of the public pointed out that the Labour Party’s new Housing Officer had been a squatter for twenty years. I was born and grew up in the East-End. I lived next door to Bengalis, went to school, with a few Bengalis, worked beside Bengalis so I have some knowledge of them, just like everyone else. Last week I started reading a book on Modern Turkey. It is not difficult to acquire a decent understanding of the Muslim world, pity Obama and Cameron seem unable to do it. If you knew squatters in Belgrave and Barnes Streets then I must know you. And I don’t, at least not by the name you are using. There were only two squats in Barnes Street and most of Belgrave was either local people, Bangladeshis or medical students. Belgrave was one of the co-ops I was referring to. I would like some specifics about who this person was at an unspecified Council Meeting, your capitals, when an unspecified member of the public “pointed out” that the Labour Party’s new Housing Officer had been a squatter for twenty years. All incendiary stuff but can we have times, dates and names? The Councillor was Julia Mainwaring. A whole side of Belgrave street was squatted and and there were a lot more than two squats in Barnes street. I used to drink in the British Prince sometimes and there would be thirty or forty squatters in there. I cannot remember even one local working-class squatter. Most local working-class people thought the squatters were weirdos. I knew people who squatted in Villa road, Brixton and Bonnington square, Vauxhall, and they were the same kind of people who squatted in the East-End. There was series called ‘Lefties’ on a few years back which was partly filmed in Villa road in the 70s and the residents were overwhelmingly middle-class Lefties with some very odd views. One women would not let her brother into the house. I am who I say I am but you don’t know me .You could not have known all the squatters, people were coming and going all the time. Nice link Trevor. Look at Spitalfields now, totally transformed. Julia Mainwaring lived in 62 Whitehorse Road when she was squatting and was training to be a teacher. When she was a councillor she had bought a house in Bow and now, as far as I know, lives on the Isle of Dogs. She certainly wasn’t squatting when she was on the council. There was certainly hostility to squatters especially as we were moving into the houses that some of those who didn’t like us had moved out of after being rehoused. The whole of the Mercers estate was due for demolition and it was only the squatters who saved it. In 1976 the GLC wanted to demolish the whole of Bromley St to make a bigger car park for the Ford dealer on Commercial Road and it was only legal objections by us that halted. You can thank the squatting movement for the hundred r more grade 11 listed building that are now des res. One of the problems that we encountered was the the fact that those white working class communities were disintegrating for a number of reasons. The traditional industries on which they had relied were going or gone. Slum clearances, many of them unnecessary, were moving people out of the area further east to Barking and beyond, breaking up communities that had existed for generations. Nobody likes change, we all cling to what we know and resent the unknown but there always has been and will be change and the biggest factor in breaking up those communities was the Tory’s right to buy which was seized on with great gusto by the very people who had attacked squatters as outsiders. Council houses and flats were bought and either sold on or rented with the proceeds used to buy further east. The Docklands Development Corporation was the next big factor opening the whole of the Isle of Dogs up to private capital and what became for years the biggest building site in Europe, all of it private. You haven’t produced much evidence for what you claim and at the end you seem to be claiming that you were a squatter yourself. Strange. Just read the article about saving Spitalfields. I remember them well as they were very much up market and wouldn’t have anything to do with us. In their own way they did good as they stopped the demolition of some beautiful buildings. God knows what the developers would have put up otherwise. Everyone should have a look at the Mercers Estate in Stepney now part private and part owned. It wasn’t the grandeur of Spitalfields, it was built for the working classes, but it is important that it was preserved and it was squatters once again that achieved that. Julia Mainwaring became the Labour Party’s housing spokesperson at some point in the 90s.I’m not sdurprised she bought ahouse in bow, after living rent free for a decade or more would ahve allowed her to save up. ‘One of the problems we encountered’, That ‘we encountered’ says it all. It wasn’t The Right to Buy that broke up working-class communities but family dis-integration,massive immigration and a loss of politcal representation. I squatted in a Council flat just off the Old Kent road for a few years in the 80s. In English please. I have tried to put forward, in a brief but hopefully accessible form, the many forces that changed society in East London over the last forty years. If you have a coherent contribution I am sure we would all be pleased to read it. be careful, you are in danger of choking to death on your own modesty! !